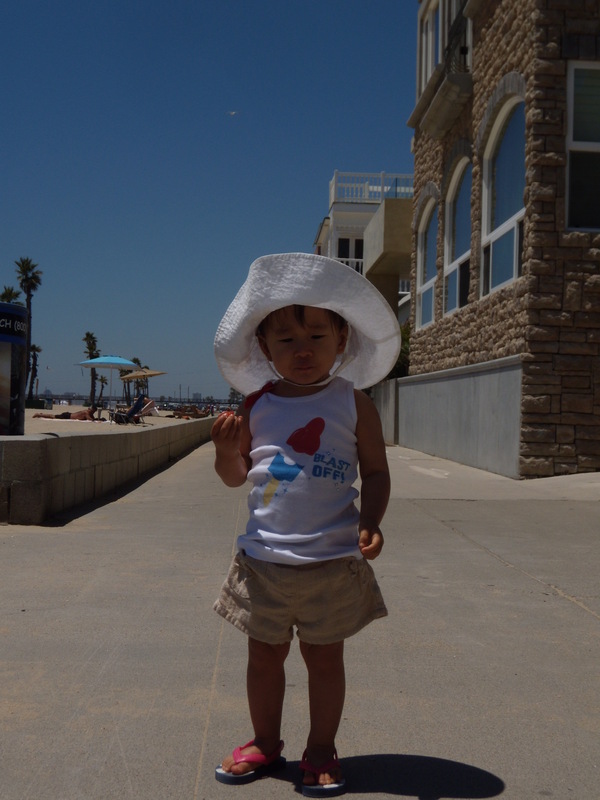 So this weekend we headed to the beach to play with our Melissa & Doug toys and wear our Psychobaby Bomb Pop Tank from @shop_psychobaby [the cutest tank ever!]. Kenzie was a bit scared of the sand although she was excited to see all the birds and the crashing waves.. she did not want me to let her feet touch the sand~ thus difficult to actually play with sand toys. She did enjoy playing with the toys on the towel and walking on the sidewalk. All in all it was a semi-fruitful trip to the beach. Next time I'm sure she'll want to walk on the sand (fingers crossed). 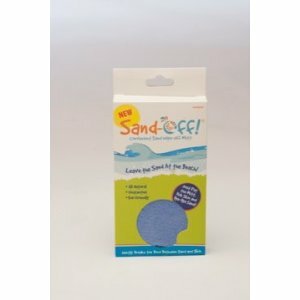 How to get rid of pesky sand that sticks to you? We used Sand Off from @getsandoff. Although Kenzie wasn't covered in sand (i thought she would be on her first real outing to the beach) this mitt was particularly convenient for both babe's feet & ours. You just rub the skin & voila - clean! It comes in a little plastic bag that you place the mitt in afterwards for storage. Good to know the sand off worked. 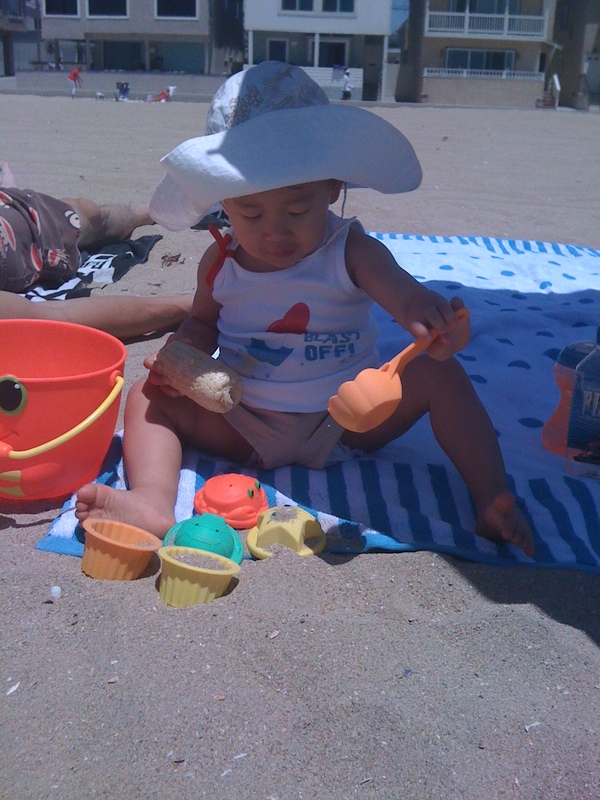 I definately need to get some of that when my baby can go to the beach next summer.